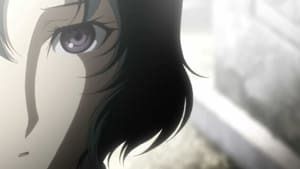 Rintarō tells Ruka about how she used to be a man and urges her to reverse the D-Mail responsible in order to change Mayuri’s fate. While she initially disbelieves him, ultimately she agrees, on the condition that Rintarō takes her on a date. Despite Kurisu and Hashida’s advice on dating, Rukako and Rintarō spend the evening in awkward conversation. Like Rumiho, Ruka eventually recalls the previous timeline, which makes her even more depressed at the impending return to it, since she feels she will be unable to pursue her feelings about Rintarō as a guy. Before sending the D-Mail that will cancel out Ruka’s first one, Rintarō realises that the reason she didn’t enjoy their date was that he was trying to be someone he’s not. He visits the shrine and tells her that, no matter what, she’ll always be his “student”. With their relationship repaired, the world line shifts, turning Ruka back into a guy and leaving only one more D-Mail to be reversed: Moeka’s.